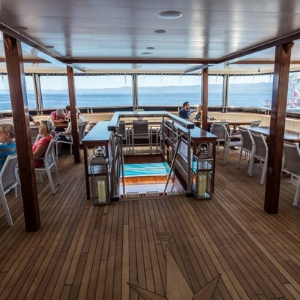 Set sail for Croatia in style aboard the MS Desire. The luxury cruise ship boasts 19 spacious en-suite cabins and first-class amenities with state-of-the-art technology. 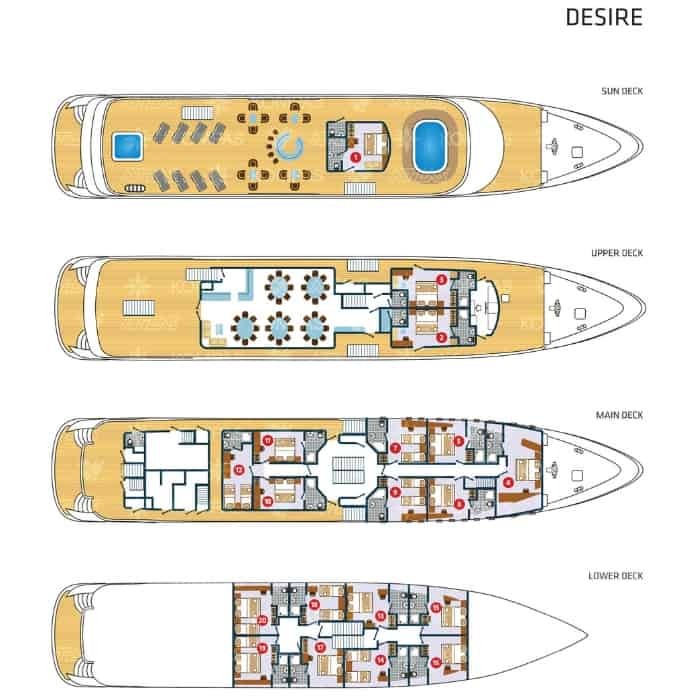 The 38 guest capacity vessel is designed to offer premium comfort and refined, unforgettable travel experience. 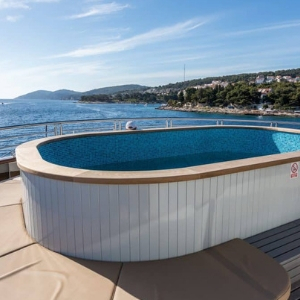 As you head sail along Croatia’s beautiful coastline, you can relax and unwind on a lounger on the sun deck or take a dip in the Jacuzzi. There is also an elegant air-conditioned lounge and bar area where you can socialise with your fellow exclusive passengers. The scenic views from the MS Desire are always breathtaking and spectacular. MS Desire is a 48.2m (157ft) long, 8.1m (26ft) wide luxury ship, with a cruising speed of ten nautical miles per hour. The ship launched in April 2017 featuring the latest state-of-the-art equipment and amenities. The ship has a maximum capacity of 38 passengers in 19 twin or double cabins, ensuring exceptional personal service. 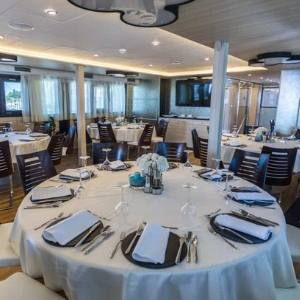 The ships upper deck features a spacious air-conditioned dining room with bar area which features an LCD TV, a corner buffet breakfast table and covered outdoor lounge area. 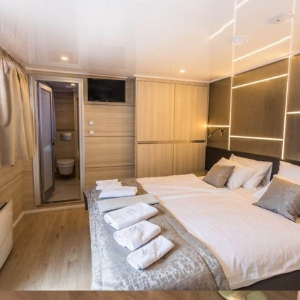 The ship features 19 modern air-conditioned cabins with two upper deck cabins, eight main deck cabins and nine lower deck cabins measuring approximately 13 to 15m2. All cabins offer flat screen satellite TVs. All cabins are fully equipped and include a safety deposit box, fire alarm, emergency lights and internal communication for announcements by the Cruise Director or Captain. In addition, each cabin has life jackets, desk and tabouret, wardrobe, a small cupboard and a window (main) or port hole (lower deck). The bathrooms on board the ship are fitted with a toilet, shower, sink and hair dryer.